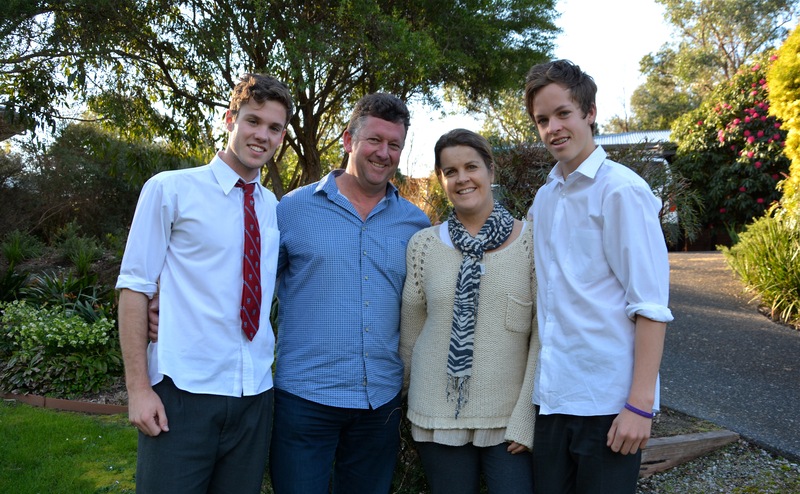 David and Sally with their two sons, Josh and Ben. On a sunny day on New Year’s Eve in 2007, Sally White and her family were spending their annual holiday at their beach house in Phillip Island. For the Wonga Park family of four, it had become a family tradition to celebrate the beginning of the New Year with their relatives by the beach. Sally, 38 years old at the time, was sitting in the sand and immersed in a book as her husband, David, played cricket with their two boys, Josh and Ben. “I was a bit tired from playing cricket, so I came and sat down next to Sally and she started to have a seizure, her body was contorted and all sorts of things. We called an ambulance and they told us it might just be dehydration but they still suggested we go to the doctors to get it checked out,” David told the Diary. 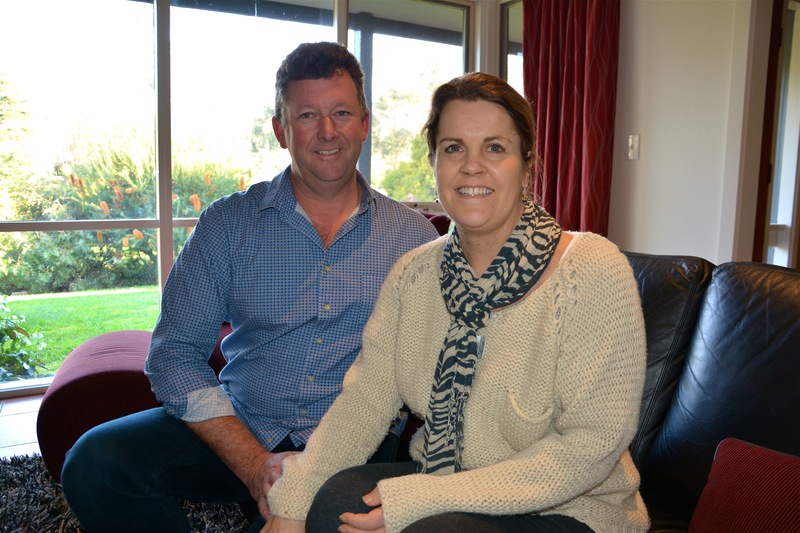 The diagnosis shocked the family, as Sally had already lost her mother to brain cancer only eight years earlier, and her uncle also lost his battle with brain cancer. “We were incredibly frightened because of our previous experiences. We were told that it wasn’t a case of if the tumor was going to grow, but when,” Sally said. After undergoing two surgeries, radiotherapy and chemotherapy and losing some movement in the left side of her body, Sally still holds hope that a cure for the deadly disease is on the horizon. The survival rate for brain cancer patients is very low, with Sally already part of the minority that has lived beyond five years after diagnosis. Cure Brain Cancer Foundation says only one in five patients are still alive five years after their diagnosis – a statistic which has barely changed in 30 years. “Leukemia had the same statistics 30 years ago but now leukemia only has a five percent mortality rate and that’s directly associated with the level of funding it has received in last 30 years,” David said. “However, brain cancer only gets three percent of the national heath budget for cancer funding and I think a lot of it is to do with the fact that a lot of people who are diagnosed have died, so there aren’t many advocates out there. Since the disease entered their lives, Sally and David have constantly fought for greater awareness and funding for brain cancer research. Along with a group of Wonga Park residents, they set up Blackwood 8, a charity organisation that has raised more than $400,000 for brain cancer research. It’s helping scientists from the UNSW Lowy Cancer Research Centre search for ways to cure, treat and prevent brain cancer. The idea of Blackwood 8 began in Warrandyte and has enjoyed generous support from community groups, residents and businesses, including on-going grants from the Bendigo Bank in Warrandyte. “When Sally was first diagnosed a group of mates from the local area took me out as a show of support, as mates do. We were having a nice time in Warrandyte with a few red wines and we decided we had to do something to try and change it. So from there Blackwood 8 was born and we decided to hold a community function,” David said. The organisation also runs community support group sessions called Talking Heads for people who have been affected by brain cancer. Sally says people travel from across Melbourne to attend, as there’s currently a lack of support services for people with brain cancer once they leave hospital. Yet the couple says momentum for their cause is building as awareness spreads and more funding pours into brain cancer research. While recovering from her second operation in 2008, Sally wrote a book called Three Quotes from a Plumber. She spent months typing while only using her right hand, detailing her personal journey to inspire others that there is hope for survival. Then in July, the movement to cure brain cancer smashed records in Run Melbourne 2014, raising $280,000. This October, Blackwood 8 is holding its annual ‘Celebration of Hope Gala’ at the Manningham Function Centre, with live music, auctions and raffle items. Tickets are available until early October unless sold out prior, and David says the event will take the total amount of money they have raised beyond half a million dollars.